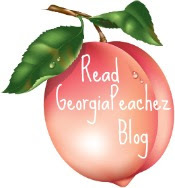 GeorgiaPeachez Wreaths is on the cover! 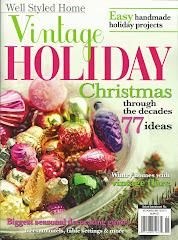 Thank you Romantic Homes magazine for featuring my wreaths on your cover and inside your magazine. 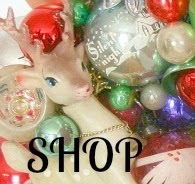 I am in full blown wreath production mode from now until the vintage ornies run out. 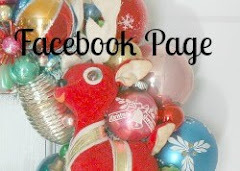 I will be adding them to the store as I get them made so check in often or follow me on facebook. I don't create custom orders, I let the shapes and colors guide me to the finished product. If you have just discovered my place, then welcome and I hope you come back often. 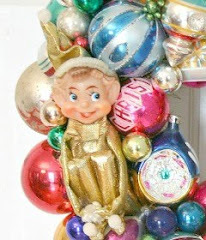 This is my place to share my slight obession with all things vintage christmas. How awesome, Suzy! Love that! Wow! You must be soooo proud! I'm sure it's amazing to see something you created on the cover of a magazine! I'm afraid I would be haunting magazine racks to see if I could spot it if my wreath was on there! Congratulations! That cover caused me to buy the magazine...high praise. It's gorgeous. Congratulations on the cover! That is an amazing accomplishment. Congrats on the cover!!! You SOOOOOO deserve it! I know I am just one person but I want to tell you that you are my "Wreath making hero"!!! Your work is amazing---so beautiful, so inspiring...THANK YOU for sharing your special art with the world!! !